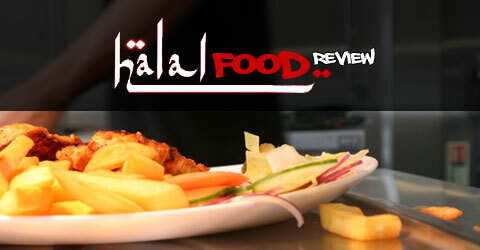 Salaams and welcome to the Halal Blogosphere, this week we have another guest review. This week’s guest reviewer is Altaf Hussain Kazi who will inshallah be contributing a number of reviews in the coming weeks. If you would also like to submit a guest review then contact the HFR and shout about the food you love. We have our fair share of foodies from Birmingham and I’d love to get some guest reviewers from around the UK. Food Review I hear you cry, over to you Altaf! Last Saturday I took the missus out for a slap up meal! I thought we’d be a bit adventurous and go to La Fibule on Woodbridge Road. La Fibule is a Moroccan themed restaurant with the promise of authentic Moroccan grub – the missus didn’t need much convincing. As La Fibule is a little more up market I booked a table (half an hour before we left in true Asian fashion- but this shows that it can be last minute option for a small party). Before we reached the restaurant we found it a little difficult to find parking which I would warn others about. However, as soon as we got into the restaurant we forgot about that. La Fibule is a cliché for a Moroccan restaurant- from the seating through to the colours and the lighting everything is Moroccan themed. I found the restaurant warm with a wonderful glow that set the ambiance for the evening. The atmosphere in the restaurant was lively and bubbly. There was no music and it seemed to be a refreshing change from the norm (although music was put on before we left). We were greeted by welcoming staff that took care of us. We were seated by the kitchen which was a bit of a tight squeeze for my pregnant wife so they moved our seating away from the kitchen to a more pleasant and relaxed seating area. I noticed that they also had only one baby seat! This for a restaurant with atleast 30 covers is ok but could be better. The selection of food looked good although it was a little on the expensive side. For starters we had Laffa Badijan (Koftas rolled in aubergine, with pine kernels & tahine). The starter was presented well and looked good-however it failed to pack a punch on the taste test. Although each item tasted nice on its own- the combination just did not work- we were a little disappointed by this. My wife called the koftas ‘salt and pepper koftas’ as she couldn’t see or taste any other flavouring- It was edible- just not spectacular. In terms of the mains I ordered a Tagine D’agneau Piquent (Tender pieces of lamb cooked with mixed peppers, chilli & almonds) to accompany this I ordered Moroccan bread and steamed rice (I like to try both combinations). The portion size looked small initially but I had around 6 medium pieces of lamb which was very tender – I understand what melts in your mouth means! Overall the dish tasted really good and definitely one I will be coming back for- the balance between the tomatoes and the chilli was just right. I enjoyed this more with the bread- which was nice, flat and fluffy. Again the staff were great and came to see how we were getting on! My wife ordered the Couscous al Jadija (Couscous served with lamb & seasonal vegetables a dish she had eaten in Morocco- me thinks). The portion size was generous- but again it lacked any punch. We weren’t looking for spices like most Asians but traditional Moroccan flavour and taste. The accompanying broth, did not add the flavour it intended to. I don’t normally eat couscous but it looked really fluffy and tasted light and airy. Overall the dish was not as flavoursome as we had expected but was palatable and ok- again the lamb was cooked to the t- fell off the bone and melted in my mouth! Being a dessert man myself-the dessert menu was a big disappointment. Although they had a good selection of desserts, the only authentic option was a selection of Moroccan sweets. In the end I opted for Moroccan tea- the tea is the best Moroccan tea I have had but was served like a desi tea in Lahore Kebab House which is fine if they hadn’t gone to all the trouble to make the place look so Moroccan. The service I got here is amongst the best in Birmingham including Lasan, but the food was summed up by my wife who said ‘its really nice but next time I’ll have what you ate!’- our bill was £32.00 which in hindsight is expensive- but in the same price range as Ismails Grill House. I would recommend this place because I did enjoy most of the food, the feel of the place and the service… but if you do go really have a good think about what you want to order otherwise it could turn out to be an expensive mistake! Remember curiosity killed the cat and in this case it may just hurt your pocket to!